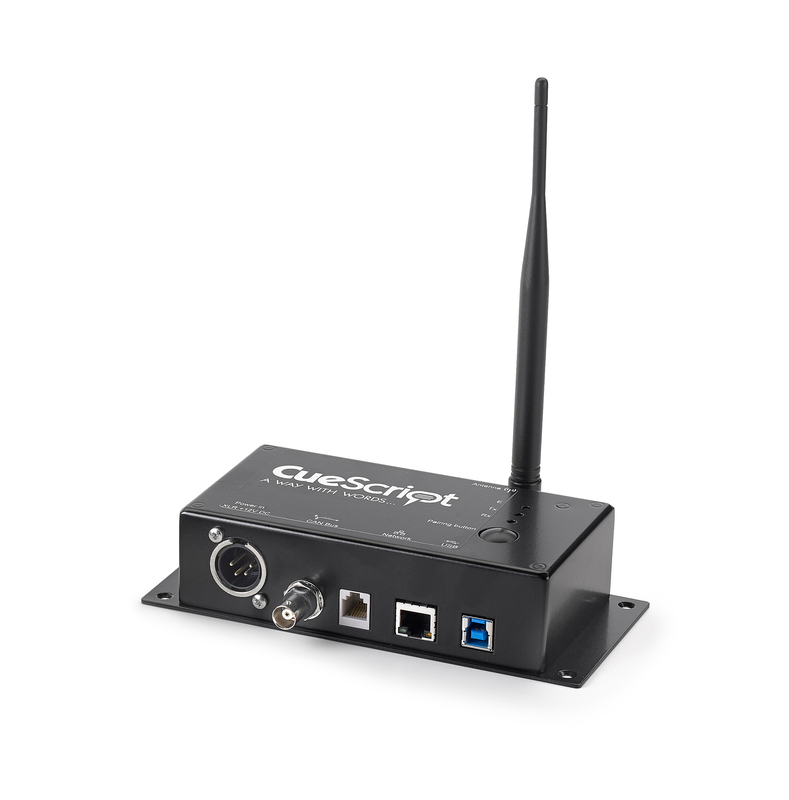 CueScript’s wireless foot control device that operates and adjusts the speed and direction of scrolling text on the prompter. 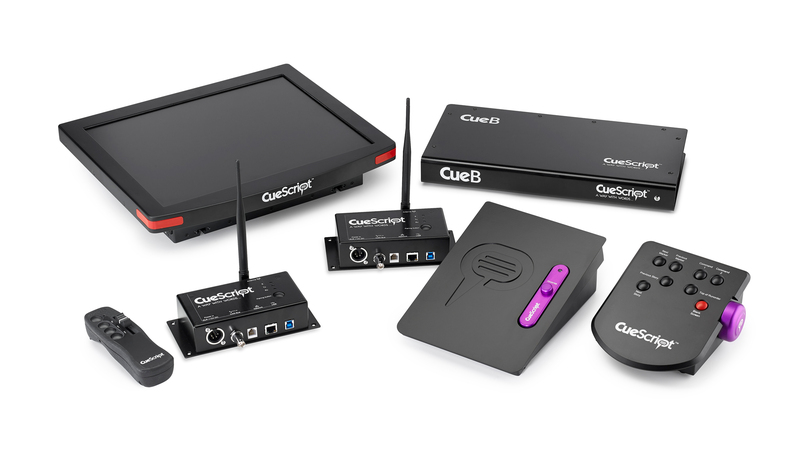 This wireless version of the CueScript foot control allows for freedom of prompting location. Like an accelerator pedal, the further the pedal is pushed, the faster the scroll of text. 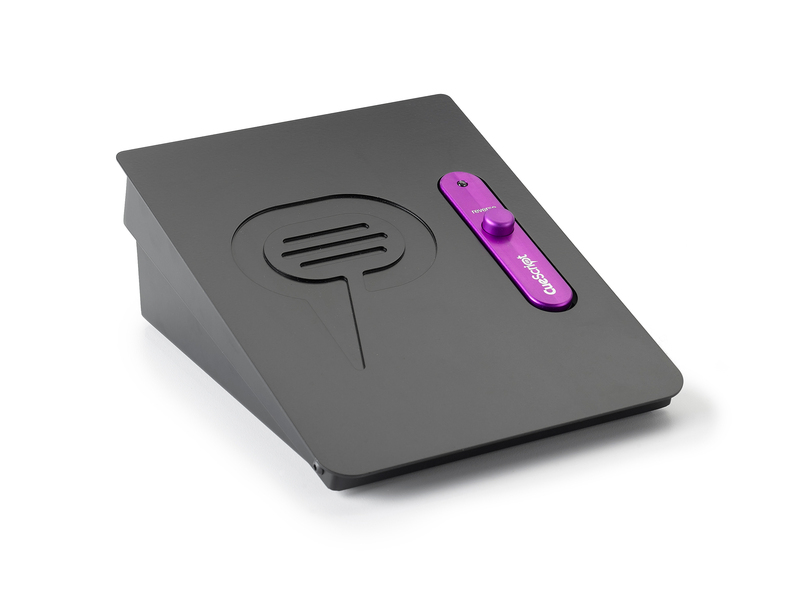 With a stylised and sturdy design, employing the very latest components for durability and reliance to give finite control and super smooth scrolling, the CueScript foot pedal has been carefully designed and engineered to provide the optimal balance of sensitivity, resistance and comfort, whether standing or seated. 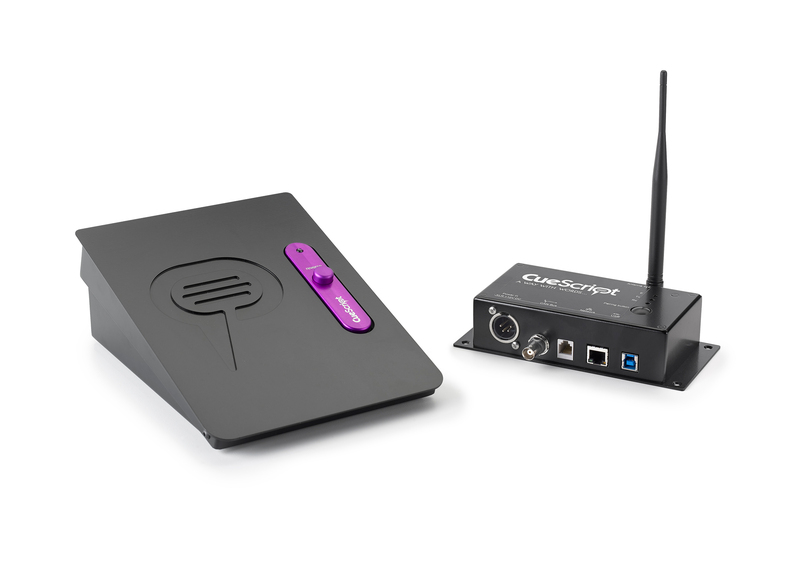 As with all CueScript scroll controls, the CSFSCW receiver unit has Ethernet connectivity, as well as USB and CAN bus. Distance: Up to 300m for 868MHz and 100m for 915MHz from transmitter (Wireless Foot pedal) to the receiver (Receiver unit). Foot pedal features a reverse button which provides immediate reverse action, instead of a switch. Typically 30 hours of continuous use on internal batteries with full charge (depending on battery age). Foot Control goes into a battery reserve mode when not in use.